This blueberry acai smoothie is the perfect breakfast on the run, or post training fuel. It hits all three macro nutrient groups of carbohydrates, protein and fats. When we provide our bodies will all three macro nutrients our bodies are happy. It is nourished and has all the fuel and building blocks that it needs to grow, repair and nourish the body. It is when we restrict or avoid certain macro nutrient groups that our bodies begin to crave and feel deprived. All three groups are vitally important, and all three have different roles to perform within the body. So, the nutrient breakdown of this smoothie goes as follows – The almonds are providing us with protein and fat. If you are having this smoothie after exercising, then getting protein to repair and re-build muscles is essential. Without this protein your muscles will not get the benefit of the exercise that has just been done. If you had just done session of heavy weights, you could boost the protein content even further by adding an extra scoop of almonds or a protein powder. The banana and blueberries are providing the carbohydrate content in the smoothie. 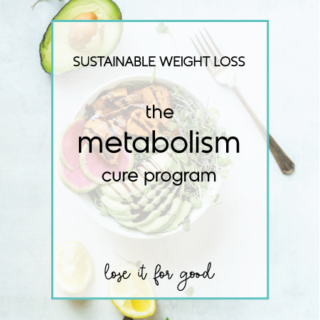 This is going to provide your body with some easy fuel to either replenish what was lost during exercise or to give you the energy you need to get going in the morning. So that being the three macro nutrients covered, we can also super charge the smoothie with extra antioxidants and phytonutrients. This is where the acai powder and even the blueberries come in. The acai powder is a concentrated powder from of the acai berry. This berry is loaded with antioxidants and phytonutrients due to it’s rich colour. This is also why the blueberries are amazing too. Phytonutrients are natural plant chemicals that work to protect the plant from germs, fungi and other threats. Whilst as humans, we need macro nutrients to keep us alive, we do not need phytonutrients to keep us alive. However, these phytonutrients serve to protect our body against cellular damage and will support your body to work optimally. 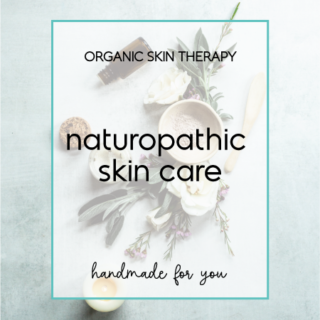 By including phytonutrients like acai and blueberries we are giving our body extra fighting power against the everyday stressors that it is exposed to. Soaking to almonds ‘activates’ the almonds. This means that it softens the almond so that the nutrients are more available to the body. Soaking also breaks down any enzyme inhibitors that can compete for nutrient absorption within the body. Many plant seeds, nuts and grains contain these enzyme inhibitors that can irritate the digestive system in some people and reduce the availability of nutrients. Having said this, don’t freak out about not soaking your almonds. Eating almonds that are not ‘activated’ is not harmful to the body. We have been eating nuts, seeds and grains without activating them for decades before the paleo crowd brought it back to our attention. Traditionally, our ancestors often soaked these types of foods before consuming them, and it is just a little step in food preparation that got lost to our busy lifestyle. Whilst I always try to remember to soak my almonds, I have no hesitation to make this smoothie with almonds straight from the fridge. Oh, in case you didn’t know, please store your nuts in the fridge. It will protect the oils within the nuts better. 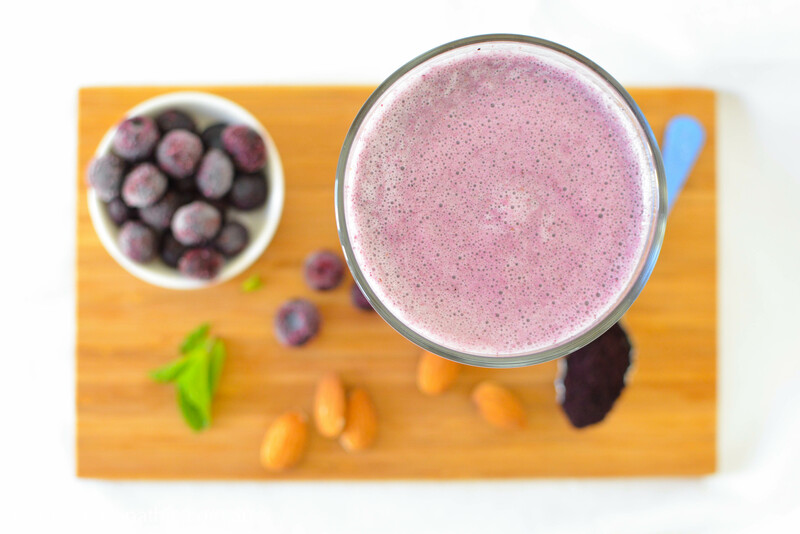 Rancid oils cause tremendous damage to the body, but that is a whole other blog post……for now enjoy this Blueberry Acai Smoothie! Place the almond in a bowl of water, cover and leave overnight to soak. Strain and rinse the almonds. Discard the soaking water. Place all the ingredients into your blender and process until smooth. You can add extra water to make a thinner consistency if you prefer.